Solid chocolate bunny rabbits molded with real chocolate and no wax or additives added. You can smell the difference when you open the package and the aroma of the rich pure chocolate stimulates your tastes buds. 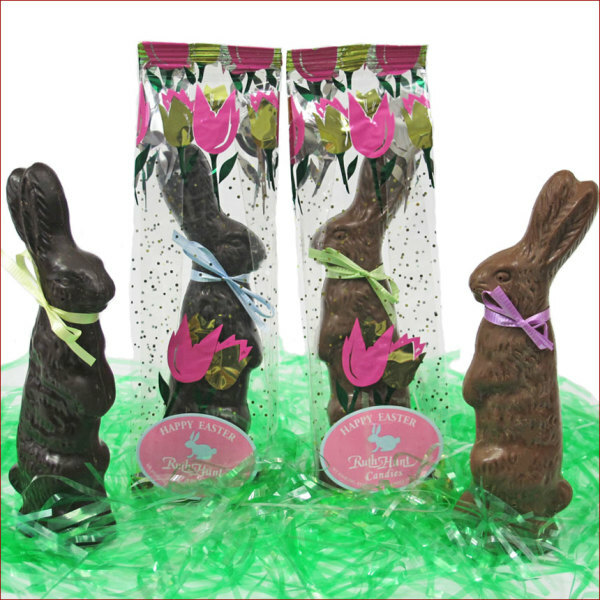 These delicious Easter bunnies are 6 ounces of solid chocolate and will satisfy the chocolate lovers of both sweet milk or semi sweet dark.